A work plan template, also known as Gantt Chart, is a monitoring tool that helps to check whether the project is on-track. It displays the tasks involved in a project, and who is responsible for each and every task. It also provides information on the key action steps and the time when the tasks will be completed. Some templates that help organizations are Action plan template, work schedule template, and Project plan template.You may also see Plan Templates. 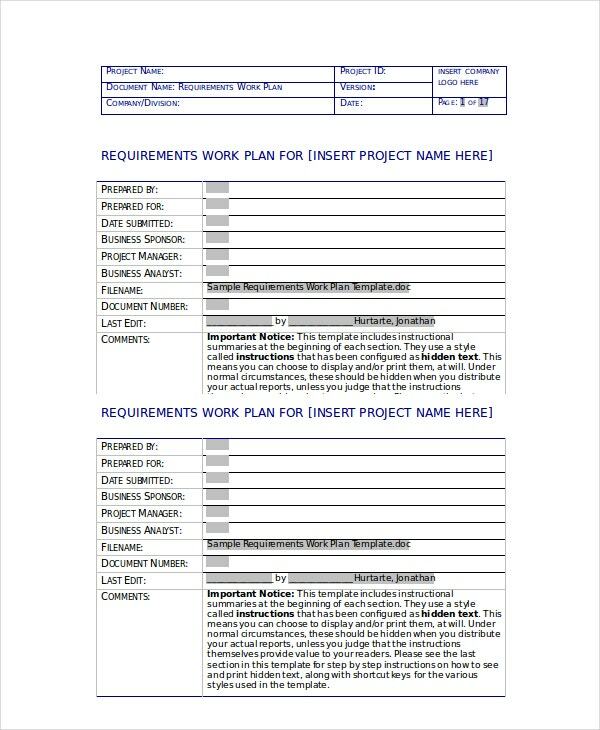 This Sample requirements work plan template is a Word format which captures basic information like people involved in the project, date submitted and edited, etc. The summary, scope, and purpose of the project can be explained here. 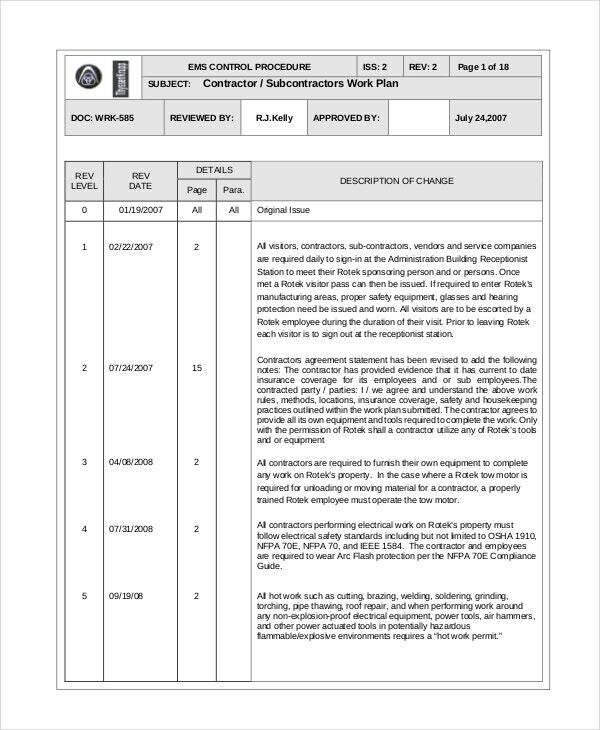 Contractor work Plan Template is a Word format which helps in briefing the information about the contractor or subcontractor’s rules. The Contracted party, the job supervisor, and the mandatory requirements for a contractor are listed in the document. The Annual work plan template captures information on productivity of the project. The expected outcomes, Activity plans, timeframe, responsible party, and the budget for the entire project can be explained using this template. 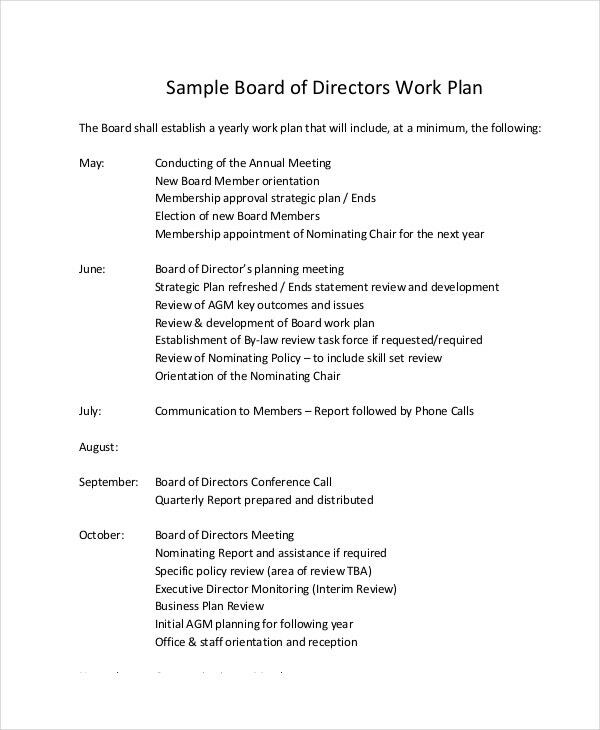 The Board of Directors work plan template is a simple work Schedule Template which shows the activities planned for the financial year. Schedules of Annual meetings, elections, reviews etc. 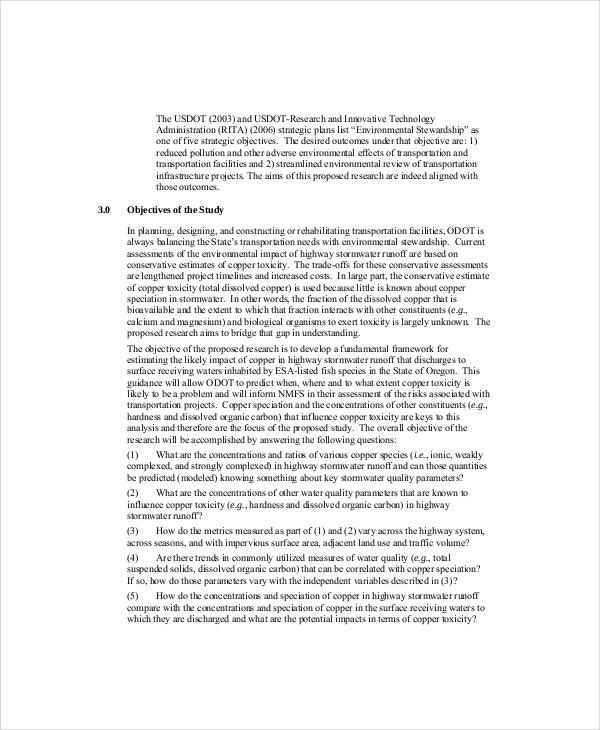 are provided in the document. 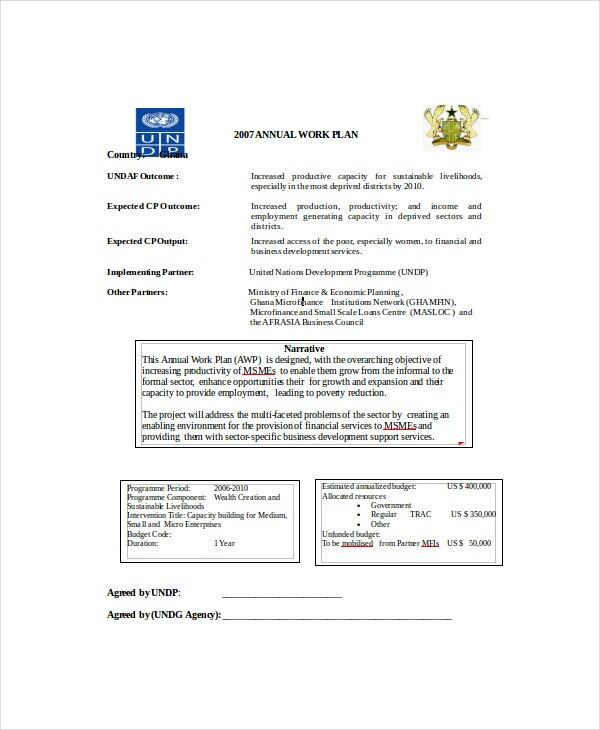 The Quality Improvement program and work plan template includes information about the aims and objectives of the project. The mechanisms to be followed and the responsible person for monitoring are documented in the template, in order to improve the quality of the program. How to write a Work Plan? In order to prepare a work plan, you have to identify the purpose of your work plan initially. This helps the supervisors to know what projects you will be working on for the next few months. Next, write an introduction and a background for any professional work plan which is short and at the same time highlights the reasons for which the work plan is being created. Determine your goals and objectives. The objectives should be specific and tangible, while you can break your objectives into a short, middle, or long term. List down the resources you have when you start your project. Resources include employees, consultants, financial budget, building or rooms, and books. 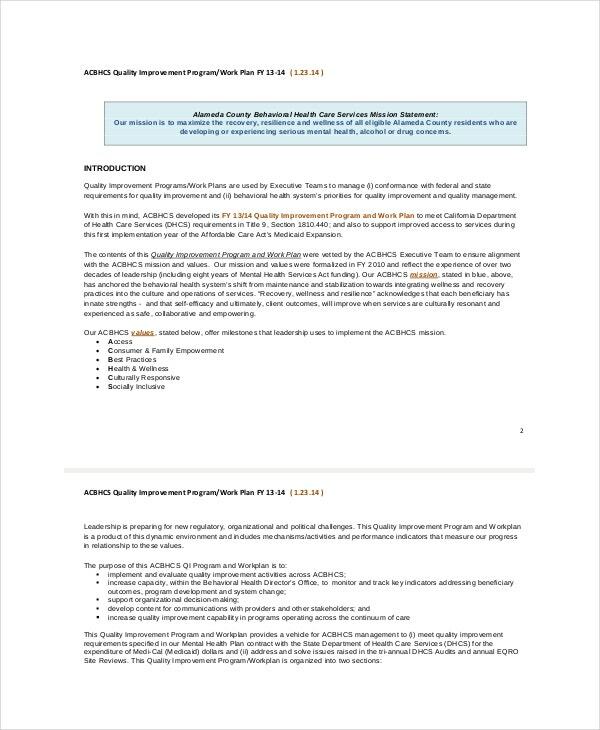 If you require a more formal work plan, create a detailed budget in the appendix. 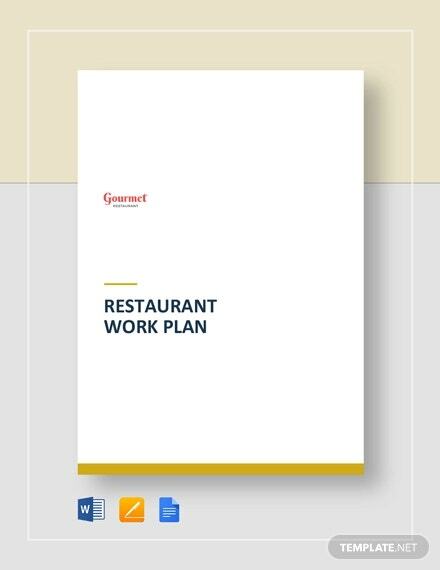 Work plan templates are available for all types of work; either it is an individual, small scale industries, large organizations, or business owners. What are the benefits of a Work Plan Template? 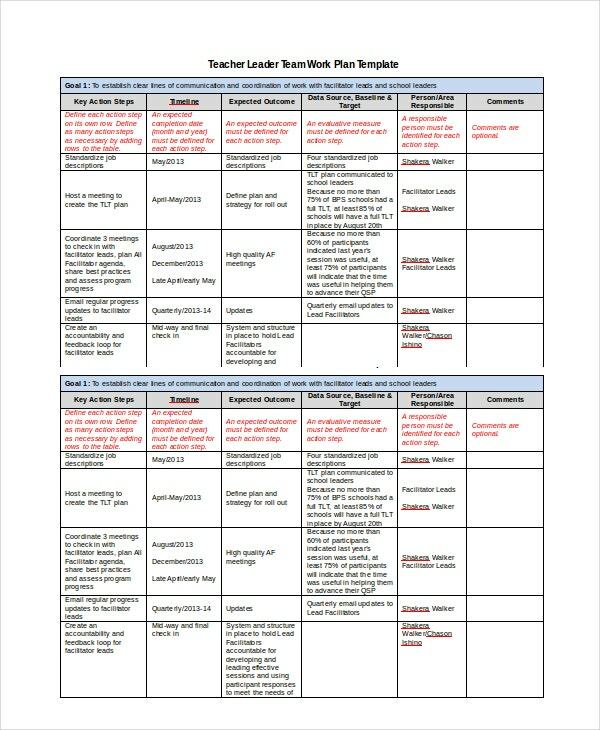 The Work Plan Template provides you information about specific tasks to be undertaken. The timeframe and the priority are listed in the template so that you can easily go through it before proceeding. Working in a team is difficult without a work plan template. By having a work plan, the activities are divided into tasks and are allotted to individuals. Individual work plans are designed for the betterment of work of every individual. The period for which the individual is going to work, clear description of the work, resources required, timeframe, and expected results are included in the template which helps the individual to have a clear vision of his/her work. Maintaining a work plan template improves efficiency, maximizes quality, improves customer service, and reduces production cost. 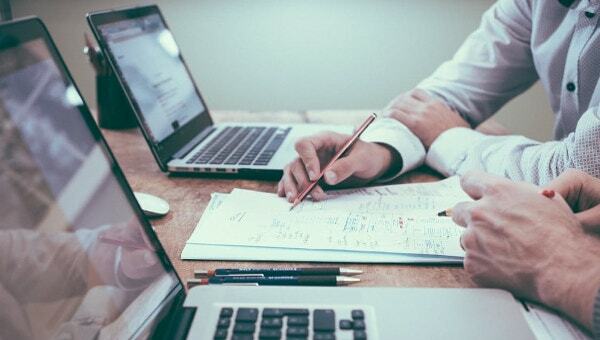 Preparation of a work plan before starting a project helps you to improve and complete the project on time, especially when you work for a team. Download different work plan templates like Project Plan Template, Action Plan Template, Work Schedule Template, Directors work plan, and Annual work plan according to your requirement.